Range Oven Trends: If you're looking for a new range oven or just want to know what is out there, take a look at the latest design trends in kitchen appliances for ranges. As with other consumer products, manufacturers have been adding more technology, more style, and in some cases, more color options to today's range ovens. The additions are geared toward making the appliances more beautiful, easier to use, and more energy efficient. 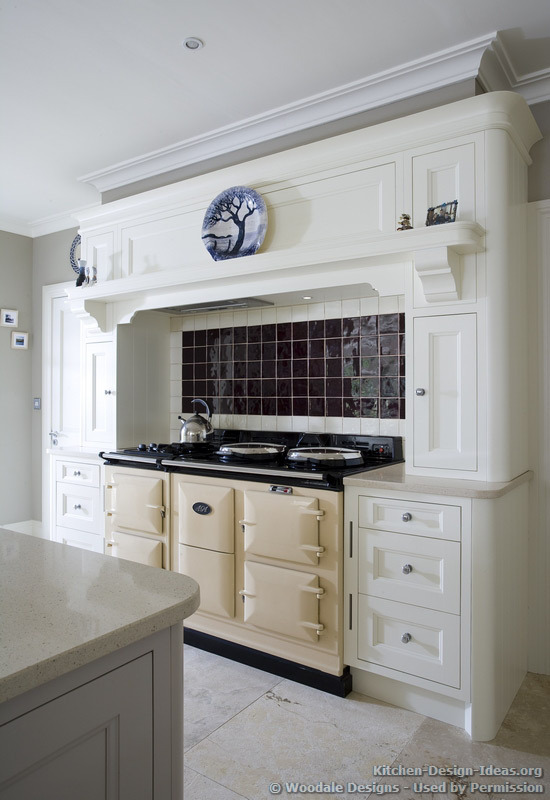 This glossy red AGA range oven features a black cooktop and classic styling. "Color" is one range oven trend we don't see going away. 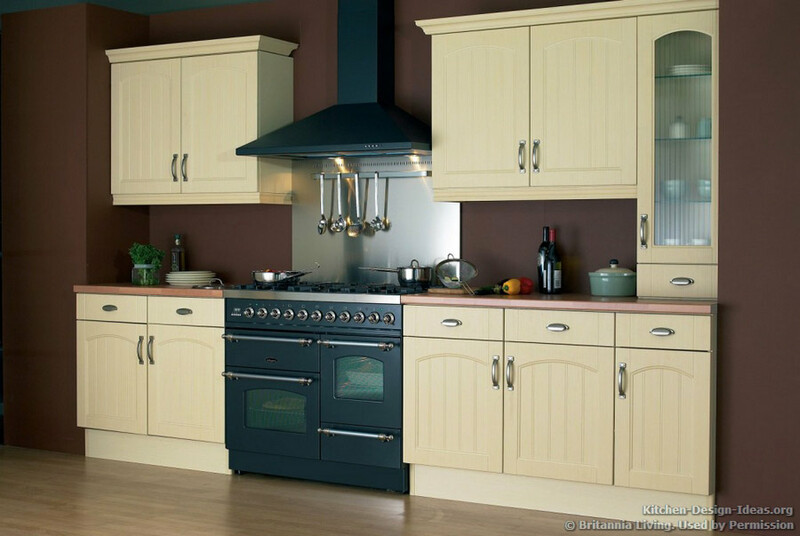 Some ranges have two ovens built in, so you can cook two or more dishes at different temperatures at the same time. The dual oven feature is meant to provide convenience for people cooking large meals or for people who are busy and don't have time to cook dishes separately. More and more ovens now include advanced timers that allow you to set precise cooking times and temperatures hours in advance. For example, you can place food into the oven in the morning but set your oven to start about an hour before you return home from work. Hi-tech functionality is one range oven trend that's here to stay. 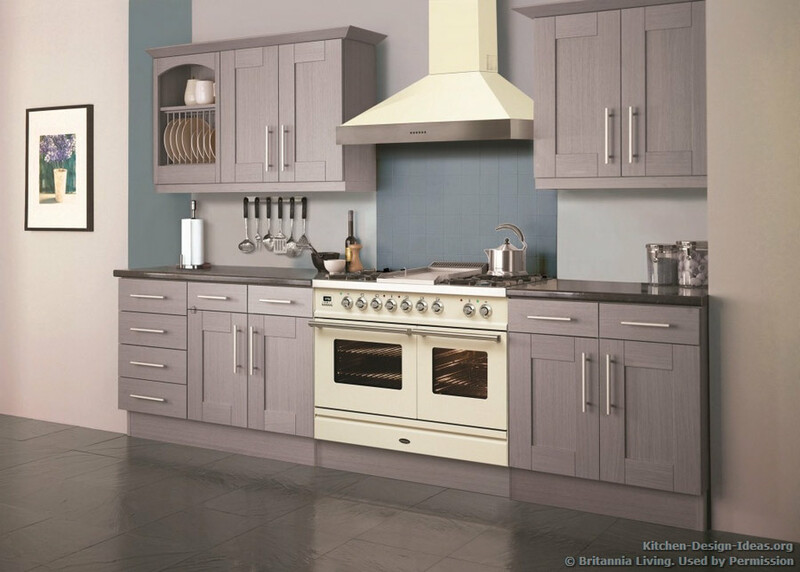 This Wolf range is a chef's dream. Ten-inch air ducts are required for the powerful exhaust vent due to the high BTU output of the cooktop on this professional range. Gone are the days of ranges with a tiny window you had to peer through to see your food. Being able to clearly see your food cooking is a distinct advantage in cooking, especially if you're trying a new recipe or want your food to come out just right. Newer oven designs incorporate larger windows and better lighting so you can easily see inside your oven. 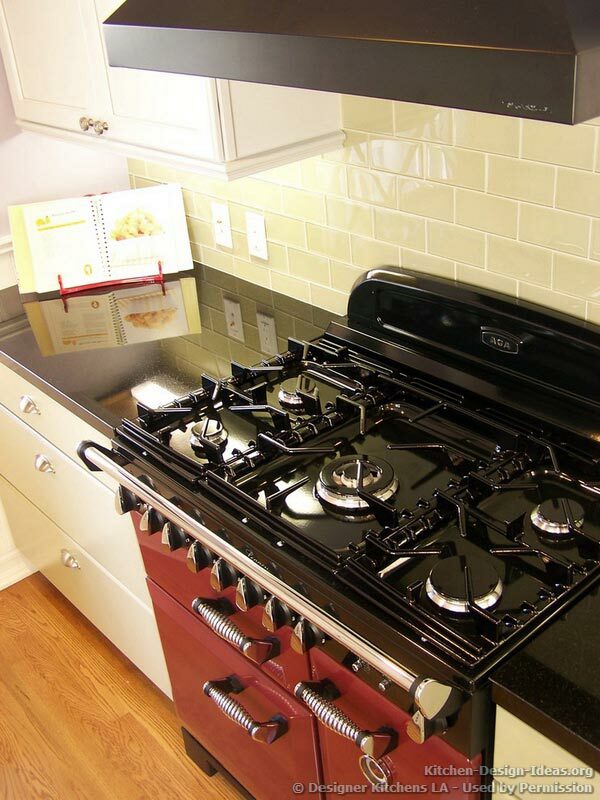 A computer control system built right into the range is a growing trend in oven and stove designs. The touch screens and more advanced interfaces that we see in today's double ovens are transferring ranges as well. For example, with some touch-screen control centers, you can press a standard temperature you're looking for or the look you want for your selected food, such as dark for well done. Other features such as automatic baking allow the oven to adjust the time for you. While it's important to be aware current range oven trends, it's equally important to take your time when selecting a major appliance. Compare oven features and reviews before you buy a new appliance so you get a quality product with the features you really want and need. Traditional oven lines, such as KitchenAid (in the US) or Rangemaster (in the UK), are a good place to start your comparison shopping. 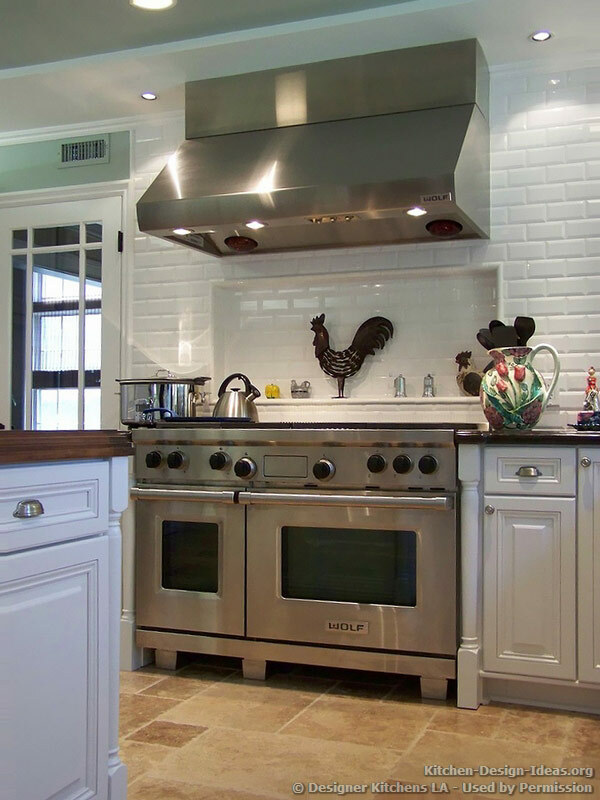 Learn More: If you enjoyed reviewing these range oven trends, be sure to read our reviews of cooker hood trends and small appliance trends, too. 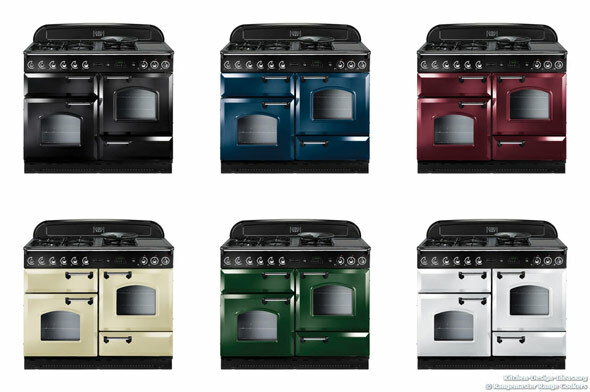 Also follow our Twitter feed to hear about future range oven trends and design-related news.